By and large, it can’t be said that new bars in Hong Kong suffer from a lack of ambition. On the contrary, nearly every new opening embraces the city’s penchant for shiny theatrical maximalism: from pricey rooftop haunts to the ubiquitous club/restaurant hybrid, this city doesn’t lack for venues which impart a dramatic impression at scale. Unfortunately, the downside is that such places are often afflicted by an abundance of “reach” rather than “grasp” — something that’s immediately discernible from seemingly trivial details like the ice that goes into cocktails. It’s an unpleasantry which many Hongkongers will be familiar with: the HK$180 whisky & coke that arrives below a diffuse film of watery, shard-like ice, riddled with flavour-obliterating impurities. Thankfully then, at Dai Bing (translated literally from Cantonese as “big ice”), grandiose scale is eschewed in favour of a more surgical focus on petiscos, simple long drinks and of course, really high quality ingredients. It’s not a concept that will appeal to everyone — as if the thematic niche-ness, casual service and incongruous location weren’t already enough of a giveaway — but for bar goers looking to cleanse their palette of Hong Kong’s craft mixology obsessed scene, Dai Bing adds a refreshing, original and much-needed perspective. For their newest venue, the team behind Ping Pong 129 enlisted the expertise of architect Hugh Zimmern (Leigh & Orange). The resulting space is nominally industrial, whilst incorporating domestic accents such as rattan furniture and hardwood floors. 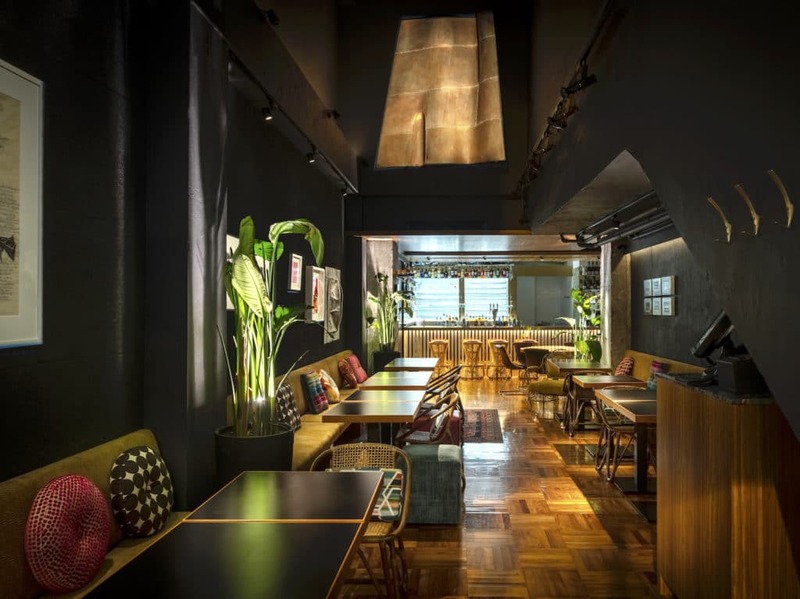 Dai Bing is located on a quiet stretch of Bonham Strand West — in what proprietor Juan Martínez Gregorio (of Ping Pong 129 fame) calls the “missing link” to the westerly part of Sheung Wan. 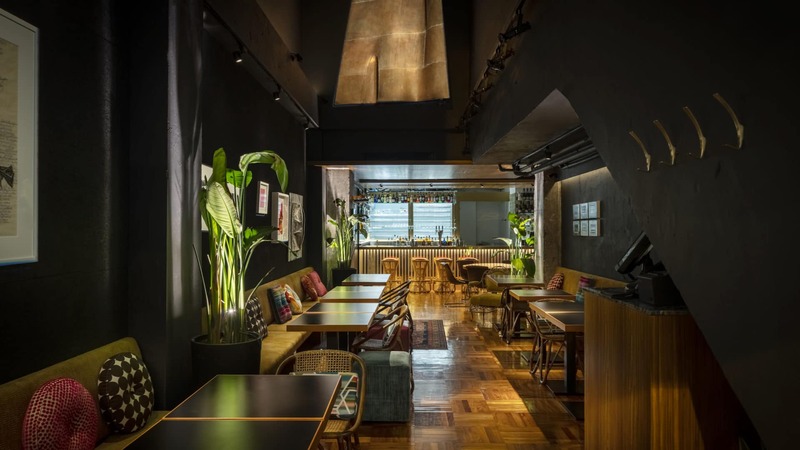 Surrounded by nondescript offices and the area’s characteristic hoi mei shops, the bar is in good albeit limited company: drinkers will find Yardbird 2.0 just one street down, while the lion’s share of Poho watering holes (such as newly-opened Old Man offshoot The Sea) are accessible via a 10-minute walk. The somewhat isolated locale was a conscious pick for Gregorio, who wanted Dai Bing to be situated as far away as possible from the maddening crowds of SoHo or LKF. Like sibling bar Ping Pong 129, it embraces surroundings which have a rawness and immediacy that’s decidedly lacking in most “cut and paste” dining group-led offerings. Pictured: Clinebell blocks inside Dai Bing’s “artisanal ice suite”. 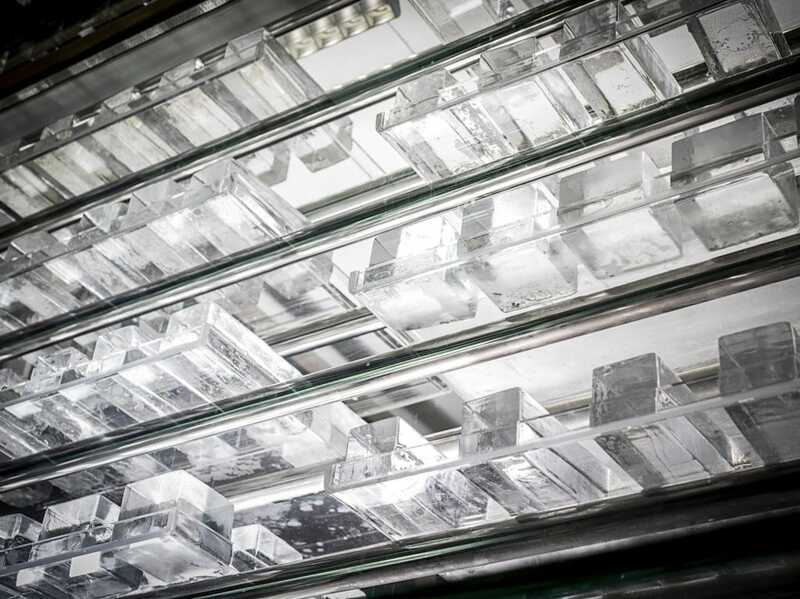 Due to a unique directional freezing process, Clinebell ice (colloquially referred to as diamond ice) is harder, colder, slow-melting and free of impurities. From the threshold, guests can observe the bar itself — replete with band saw and “ice suite” — in addition to the main seating area. The whole venue resembles an approximate L shape, with a cosy private room extending away from the aforementioned bar counter. Architect Hugh Zimmern took advantage of the space’s history as a dried seafood shop — think vaulted ceilings and exposed pipework — to craft interiors that are industrial yet relaxed. Ice, unsurprisingly, is another of the space’s big stylistic preoccupations. Behind the counter, a duet of Clinebell ice makers (imported from Colorado) churn out 8 gargantuan blocks every 38 hours. These are cut down to a more manageable size before being wheeled into the adjacent refrigerated display. The use of filtered water and directional freezing imbues each piece with diamond-like properties. Banks of fluorescent light overhead bathe the ice in a cold blue glow, serving to focus drinkers’ attention towards the bar as they contemplate their next beverage. 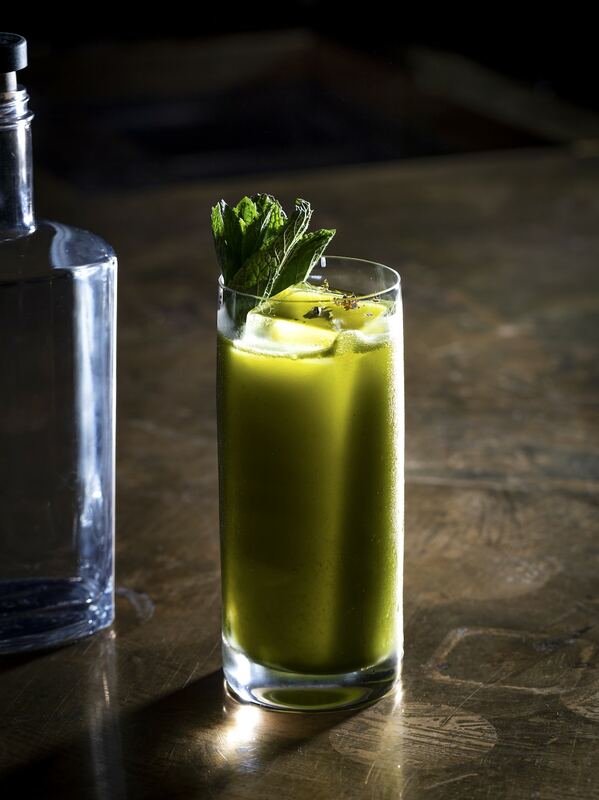 Dai Bing's excellent take on the classic mint julep is made using bourbon, grapefruit and fresh mint leaves. The White Port Spritzer: a classic Portuguese aperitif made using tonic, lime juice, cucumber and the aforementioned white grape distillate. Beverages like this Matcha Highball highlight the creative influence of consultant bartender Yuta Inagaki (of BUTLER fame). Apposite to its name and decor, Dai Bing very specifically traffics in classic long drinks, garnished with the aforementioned Clinebell ice. The emphasis on tall beverages is actually a continuation of the journey which began at Ping Pong 129 — where classic gin & tonics were originally served tall before the transition to its now-signature goblets. Key parallels underline both of Gregorio’s establishments however: there’s not a rotovap in site, fresh produce is used wherever possible, and recipes contain only three or four ingredients, many of which will be familiar to all but the dullest of drinkers. 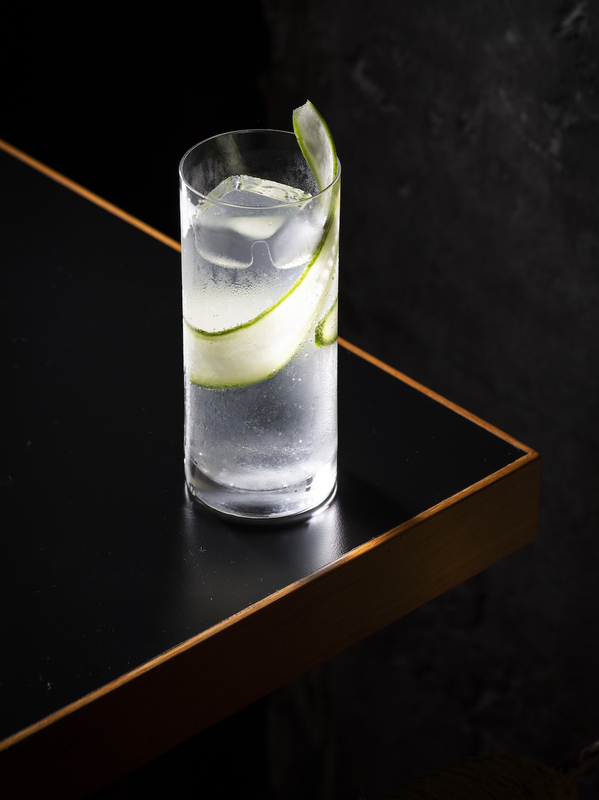 The bar programme itself was developed in conjunction with BUTLER veteran Yuta Inagaki, who previously worked with Gregorio on Ping Pong 129’s portfolio of Japanese gins. For this project, Inagaki’s brief was to design a series of long drinks centred around classic cocktails, various regional traditions and a few key spirits. The menu proves (mostly) successful in addressing these goals, offering 12 refreshing and streamlined beverages that are executed at a uniformly high level. 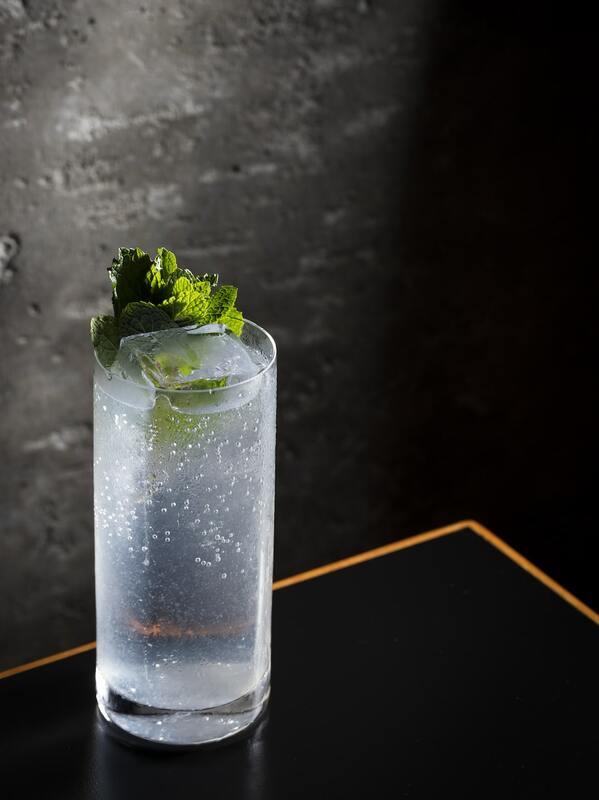 Entries like the Shiso Gin & Tonic (HK$120) offer a contrapuntal experience on the palette, squaring shiso’s naturally spicy and vegetal flavour against the juniper aromatics of London dry gin. Similarly, the Rebujito (HK$110) is an Andalusian twist on the classic mojito, swapping out white rum for fino (i.e. a dry and equally pale variety of sherry) in order to create a drink that looks and tastes as if it were tailor-made for warm weather. 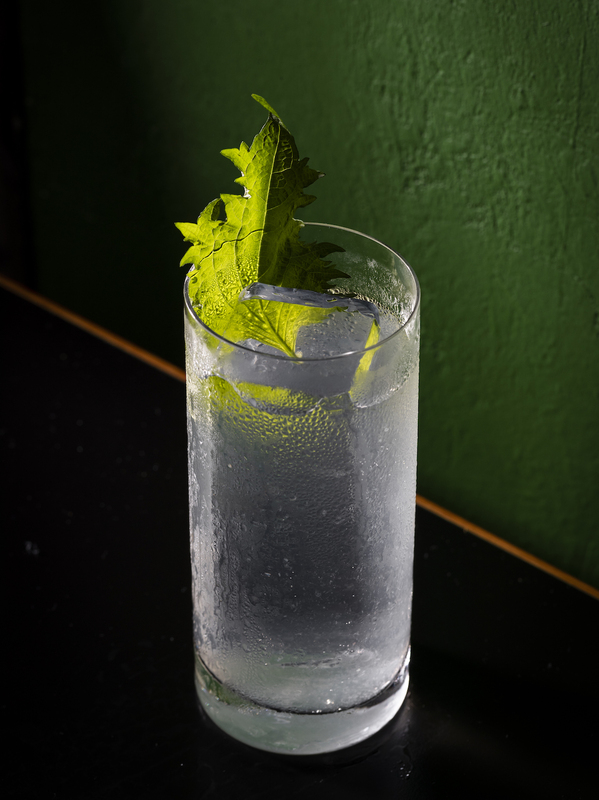 Dai Bing's excellent version of the classic G&T doubles as a kind of palette-borne manifesto, balancing London dry gin against the vegetal spice of Dover Shiso. Spritzers are of course a usual suspect when it comes to the most popular style of long drinks worldwide, and Dai Bing's take makes good use of an ingredient that will be familiar to most Hongkongers - starfruit. Other beverages function as a less literal medium for exploring urban culture: the Spumoni (HK$110) for example draws on Inagaki’s experiences in Tokyo and is illustrative of flavour preferences in the Japanese bartending community. Each Spumoni is built around a nexus of Campari — the syrupy traffic-red amaro giving this cocktail its trademark appearance and bitter aftertaste. Grapefruit juice and tonic are the other primary ingredients, both of which play a crucial role in tempering and diluting respectively. 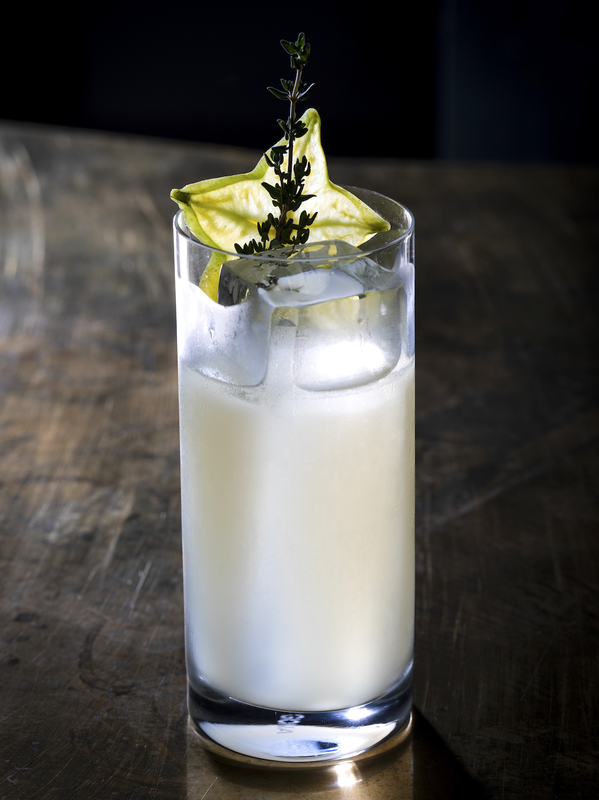 The style lends itself well to balance and will likely be a no-brainer for those who favour lip smacking cocktails made with a large (but not overpowering) quotient of citrus. Anchoring the success of most of these items is, of course, the ice. The aforementioned use of filtered water and directional freezing results in a crystalline solid that is uniquely hard and clear, free of air bubbles that usually occur when an inferior source of water is used. In practical terms, this means that Dai Bing’s ice melts extremely slowly and (as a corollary) doesn’t cause excessive dilution before you have a chance to finish your drink. 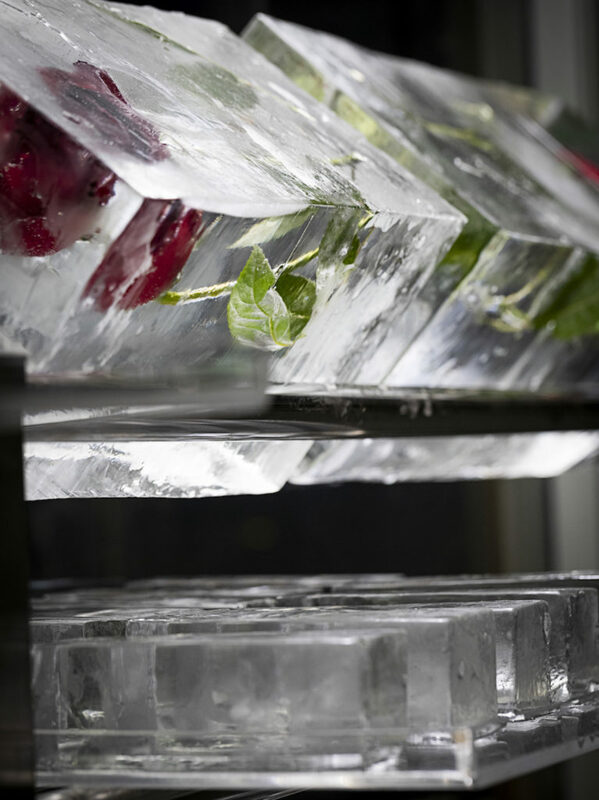 You can feel Inagaki’s unrivalled attention to detail creep in here as well: over a half dozen shapes of ice are prepared daily, so that every variety of glassware used can be matched with a proportionately sized ball, cube or block. In many ways Dai Bing follows closely in the footsteps of its elder sibling, Ping Pong 129. Many of the latter’s strengths have carried over to this new opening: there’s an impressive selection of independent spirits; thought-provoking artworks throughout the space; and a laser-focused menu that never overcomplicates the ordering process. Conversely, those same attributes might cause certain parties — often the kind of people who still use “hipster” as a derogative — to write Dai Bing off as a rather niche and obtuse place, the kind where the insufferably cool come to consume fussy beverages and dance ineffectually to vinyl (a DJ spins records every Saturday from 10:30pm onwards). Such an assessment couldn’t be further from the truth: because if you’re a fan of classic long drinks, done simply and done well, Dai Bing is a masterclass in execution. Opening hours: Mon–Wed 6pm–12:30am; Thur–Sat 6pm–2am. Recommended drinks: Shiso G&T, Spumoni, La Valdôtaine Negroni (off-menu). Price: HK$110-$140 for long drinks. Noise level: Moderate, ideal for small groups. Service: Relaxed and friendly, occasionally inefficient during peak hours.